Juice cleanses, detox drinks, Zone Diet, Paleo Diet, South Beach Diet. There are so many different kinds of diets these days! No wonder it confuses a lot of people. Which ones work? Which ones don’t? Instead of being practical, it all just becomes overwhelming. It’s simple. Anything that promises the shortest, easiest route is most probably sham. While some may work at first, they are rarely viable and successful for the long term. Some may even do more harm than good. 1. You will not get enough nutrients. 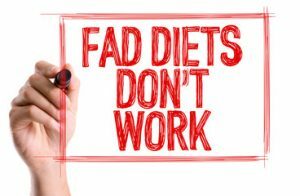 Some fad diets focus on eliminating something. 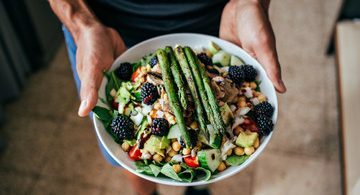 If you’re being asked to remove a whole food group from your diet like entirely no carbs, no fat, liquid diets, eat only 3 things, or anything extreme like that–chances are it’s not healthy for you. Our bodies need a balance of vitamins, minerals, and other nutrients that come from a variety of food to function properly. Diets that revolve around consuming only one type of food, like only coconut oil, slimming pills, slimming tea, or just cabbages, are also unhealthy for the same reason as above. It causes nutrition deficiency. 2. You will get fatigued or stressed. Diets that make you acutely hungry or thirsty will not only deprive you of much-needed nutrients but will also cause fatigue and stress. When we’re stressed out, our bodies produce the hormone, cortisol. An increased level of this stress hormone causes higher insulin levels in our bodies, blood sugar drops and then you crave for sugary, fatty, unhealthy foods. Also, how will you have the liveliness to do any kind of exercise when you’re fatigued? Instead of helping you make progress in your fitness journey, this will make you prone to failure. 3. Your metabolism will slow down. When we are undernourished, consume very little calories, or deprive ourselves of a balance of food, our bodies react by slowing the metabolism. It will work to preserve the small number of resources we feed it by going into “starvation mode,”. Instead of efficiently burning fat, your body will hold on to it for fuel and energy. These are the reasons why we should scrap fad diets. Now let’s move on to how and what we should eat instead. The best diet is not very restrictive at all; it’s more about a lifestyle of the correct eating habits. A lifestyle that you can enjoy and sustain. • Eat a variety of whole, unprocessed food. Make sure that all the basic food groups are present in your diet. Make sure you eat fruit and vegetables, healthy fats like avocados and nuts, and unprocessed carbs such as oatmeal, sweet potatoes, and brown rice. This guarantees that you’re getting all of the vitamins, mineral, and nutrients your body needs to develop properly. • Avoid processed, unnatural food. Ask yourself this: Did this come from nature or a factory? Anything that didn’t come from a plant or anything that has more than 5 ingredients is most likely unnatural and is not good for you. Ingredients such as sodium, MSG, sugar, food colour, and preservatives are added to this food to make them look and taste more appealing or extend their shelf life. Examples are instant food and microwave meals, cakes and pastries, candy, and so much more. Now that you already have a sense of which foods to eat make sure that you’re also consuming the right amount. Small, balanced, frequent meals can boost your metabolism. Eat to nourish your body, not to sanction or reward–avoid emotional eating. Eat until you’re satiated and not overly full. You can estimate how much to eat by considering your daily activities. 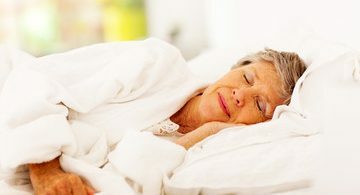 Eat more before working out, eat less when you aren’t active, like for example when you’re about to sleep. 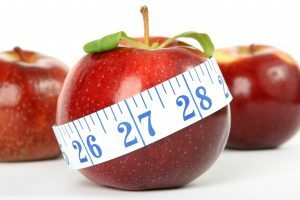 Techniques such as counting calories or following hand-portioned meals are very helpful in controlling the amount of food you eat. You can search on the internet for guides on how to do this. There are several resources available. • Try practising intermittent fasting. Intermittent fasting is an eating pattern where you have a time window for eating and a time window for fasting. This simply means that your meals are timed. There will be a few hours when you won’t eat; there will be a few hours when you can eat. There are several different time intervals during which you can do this. An example is to fast for 18 hours and eat within 4-6 hours. You take advantage of your already fasted state upon waking up. So you would have fasted for 8 hours while you were asleep, add 10 hours to that by skipping breakfast up until lunch, then start eating again by early afternoon, finishing your 4-6 hour eating window. This method is very effective in burning fat especially when your body has grown accustomed to your regular diet. Changing your routine would help in boosting your metabolism. In it’s fasted state, the body burns stored fat as fuel. Not only that, since your body isn’t busy digesting food all the time, you allow it to focus more on other functions such as cell repair and fighting off diseases like cancer. During your fasting hours, you can drink low-calorie drinks such as black coffee, tea, and water. Just make sure that you’re still eating nutritious, well-balanced food during your eating window. Cliff Bello is the CEO and creator of MindNbody.me. He is passionate about helping people lose weight by changing their mindset, using a more holistic approach to health and fitness. By providing unique tools in the field of mindset, nutrition, and training, he helps people love themselves again and keep the results forever.